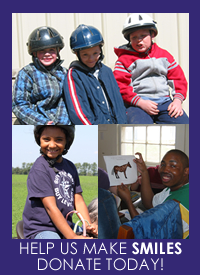 Founded in 1984, the Kent Association of Riding Therapy, otherwise known as KART, is a non-profit organization that aims to improve the lives of children and adults through therapeutic horseback riding and instruction. KART is a program created through the Professional Association of Therapeutic Horsemanship International, referred to as PATH International, which has promoted equine-assisted activities and therapies, or EAAT, for individuals with special needs since 1969. KART calls the Worthmore Equestrian Center in Worton home. Marco Belperio is the riding instructor for KART, and is a PATH International Certified Riding Instructor.